Edith Frost is an American singer-songwriter who describes her music as "pensive countrified psychedelia". 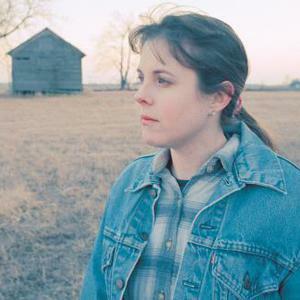 Born in San Antonio, Texas on August 18, 1964, Frost moved to Brooklyn in 1990 where she played in the country bands the Holler Sisters, the Marfa Lights and Edith and Her Roadhouse Romeos. In 1996 she moved to Chicago after signing to the city's Drag City label, which released her demo as a self-titled EP. In 1996 she moved to Chicago after signing to the city's Drag City label, which released her demo as a self-titled EP. Debut album Calling Over Time was released in 1997, and has been followed by Telescopic (1998), Wonder Wonder (2001) and It's a Game (2005). All were produced by Rian Murphy except Telescopic, which was produced by Neil Hagerty and Jennifer Herrema from the band Royal Trux; Wonder Wonder was engineered by Steve Albini. Frost relocated to the San Francisco Bay town of Albany in 2006.